What If Marvel's 'The Avengers: Age of Ultron' Was Released in 1995? There was a time when bringing something like Marvel's cinematic universe to the big screen was an insane and seemingly impossible idea. But that doesn't mean there weren't several attempts to bring The Avengers to the big screen for decades before it actually happened. Well, Vulture decided to commission editor Sleepy Skunk (who delivers year-end cinematic retrospectives that we feature) to create a trailer for The Avengers: Age of Ultron if it was getting released in 1995, and the result is just awesome. 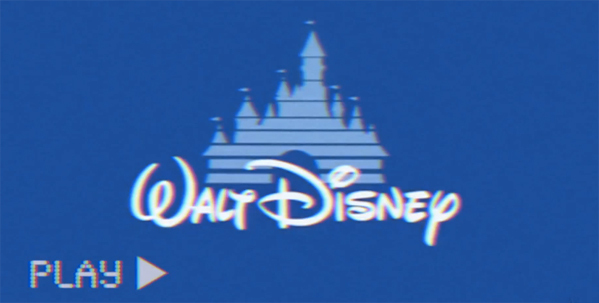 Complete with cheesy voiceover, the old Disney logo and video tape tracking issues, it's a fun little video. Watch it! You can still watch the latest real trailer for The Avengers: Age of Ultron right here. he Avengers: Age of Ultron is written & directed by Joss Whedon (The Avengers, Serenity). Earth's mightiest heroes must once again assemble when a super intelligent robot created by Tony Stark created to help fight any threats that might harm the world actually turns against him and the human race. Robert Downey Jr., Chris Evans, Chris Hemsworth, Mark Ruffalo, Scarlett Johansson, Jeremy Renner and Samuel L. Jackson all return in the sequel to Marvel's The Avengers with new names like Aaron Taylor-Johnson and Elizabeth Olsen joining the team. Disney & Marvel release the film this summer on May 1st. You ready? And I suddenly remember how bad trailers used to be. People in 2035 will be saying that about 2015. "What's with all the BWOMMM's?!?" Is it too nerdy that I recognize the "floppy-disk-ejected-from-the-PowerMac" to be from The Net starring Sandra Bullock? Needs more Don LaFontaine. // RIP DLF. Actually that makes me even more interested in seeing it! Do you really think that Key & Peele used an old camera? I suggest you look closer. No,all it takes it understanding what made old footage "bad", and how video signals deteriorate. They didn't even bother to make it 4:3 aspect ratio. I looked closer, and I think you're right. Bravo to them though, because it's often much more noticeable even in bigger budget films when they edit modern-day camera-footage to make it appear old. Um, where's the tracking in the begining? ?